Quite contrary to the common belief, owls are very social animals and indeed form flocks or rather tightly bound families with a common social codex. At sunset, they all meet before going on their individual hunting trip, and they eye themselves very carefully. Any owl not belonging to the group is sho-who-whoed away immediately! 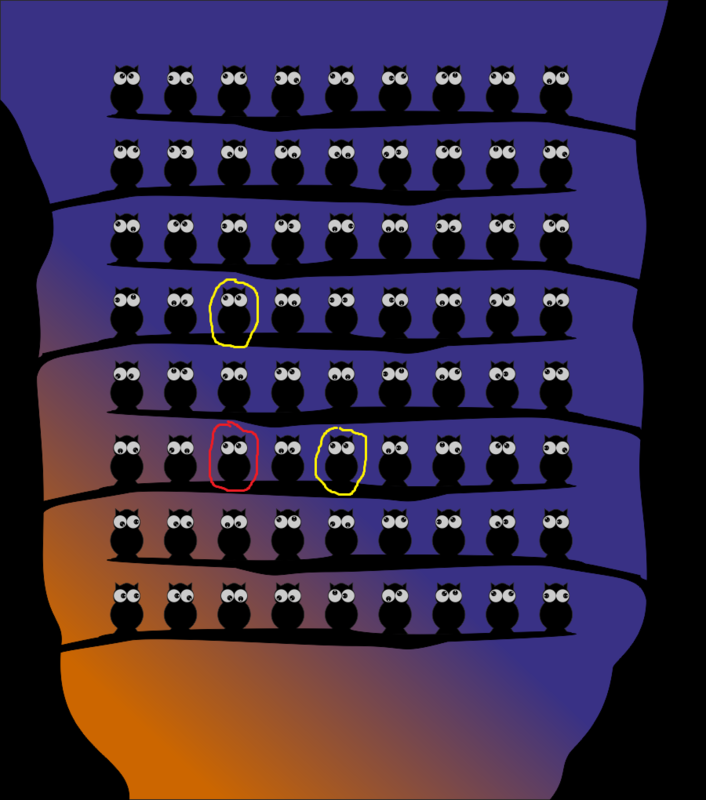 Now this evening, the owls are all excited and agitated: A single owl from another region has sneaked into the flock and is trying to pass as one of them! This can not be! Can you identify the owl which is behaving anti-socially (i.e. not following the flock rules) in the image below? A valid answer must contain the flock-rules and why that particular owl is not following it. The puzzle can be solved with a black-and-white printout of the image. each owl must have a unique eye orientation in either its row or in its vertical column. 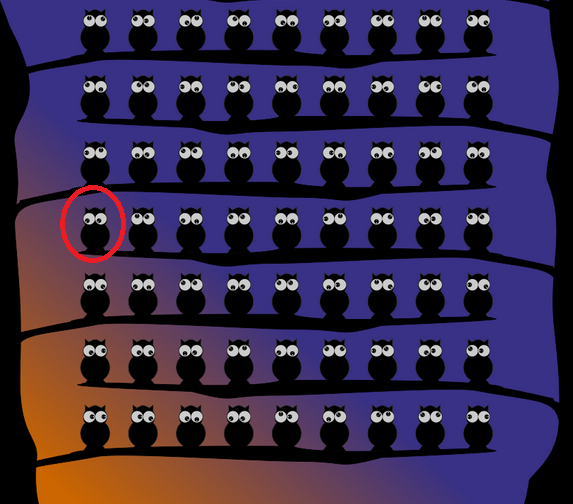 The owl I marked in red in the below image has the exact same eye orientation as the owl two places to its right (my right, owl's left) and two places above it. and there is only one square which sits in a column and row which hosts another identically coloured pixel (light blue). This is the odd one out! So this is a copycat owl who needs to be sho-who-ed away before he learns the ways of this flock. Not the answer you're looking for? Browse other questions tagged pattern visual odd-one-out or ask your own question. Find the odd ones out!